It's designed to be your kids' first real bike. Sure, you could go down to the big box store and save some money, but your kids deserve a real bike. Disc brakes for great stopping power, wide bars for better steering and a nice light frame so little legs can go as fast as they desire, this bike is just like the bigger Shreds; it can handle heavy-duty riding and punishment. Do your kid a favor, start them off with a sweet bike made by real cyclists. They'll love you for it. 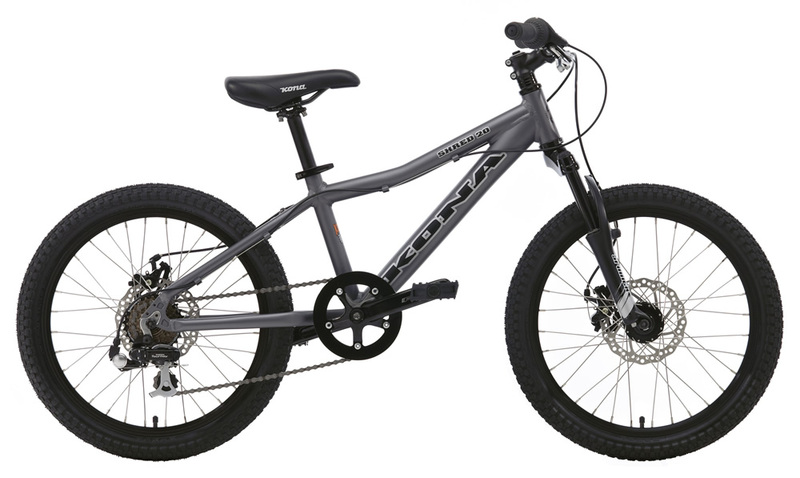 Front Tire Kenda K-Rad 20x2.1"
Rear Tire Kenda K-Rad 20x2.1"